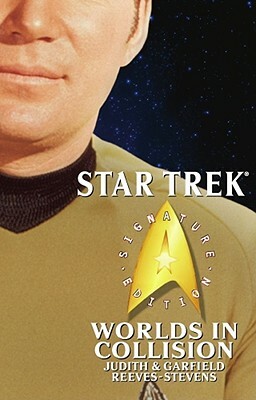 Pocket Books/Star Trek, 9780743485098, 432pp. Of all the experiences shared by Captain Kirk and the crew of the Starship Enterprise during their first five-year mission, two were among the most perilous: a journey to the nonphysical realm of Transition where the massive computer known as Memory Prime was situated, and the nightmarish mission to Talin IV, a world poised on the brink of destruction that Kirk was forbidden to save. In the twenty-third century, a hundred years before a sentient artificial life-form would be allowed to earn a Starfleet commission, the Federation considers the use of self-aware artificial intelligences to be little more than slavery, except for the immense computer system of Memory Prime -- the key hub in the Federation's vast network of interstellar library planets. There, the A.I.s known as Pathfinders inhabit Transition -- a virtual world so different from our universe that the A.I.s themselves debate whether or not the physical universe is real. But when an ancient enemy reaches out from the shadows of Vulcan's darkest history and threatens to destroy the Federation, Spock must risk his career, and his life, to enter the Pathfinders' realm. Technologically and politically, Talin IV is little different from late-twentieth century Earth. But as a series of mysterious events pushes that world closer to self-annihilation, the Prime Directive prevents Captain Kirk and his crew from doing anything to prevent it. When the worst appears to happen and Kirk takes desperate action to give the Talin a chance to step back from the nuclear abyss, Talin IV is consumed by radioactive fire. Now, with a world destroyed and the Enterprise dead in space, the careers of Kirk and his crew are over. Disgraced and despised, Kirk has only one chance to redeem himself and his crew: Somehow, he must make his way back to Talin IV and discover what really happened, even if it means proving that a world died because he broke Starfleet's most sacred law.